Description It is said that there is a distant place lived a group of good zombies.They established their own empire.The King and the Queen were kidnapped, but young prince escaped fortunately. Help him rescue his parents from the bad human. 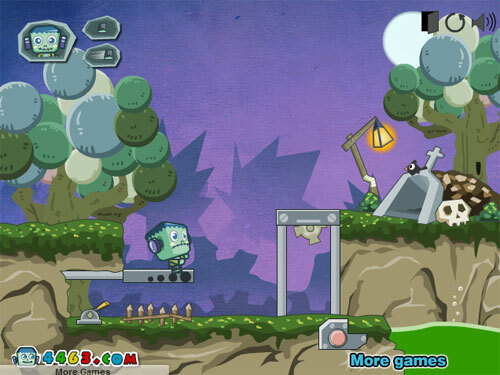 Controls Use mouse to play,zombie will automatically move forward,player need to click need to click on various machinerys and traps in time to help zombie avoid obstacles and dangers,click zombie to stop him,click again to continue to move,the goal of each level is reaching the grave safely.